Here’s a recipe that combines crawfish with seasonings and diced eggplant. 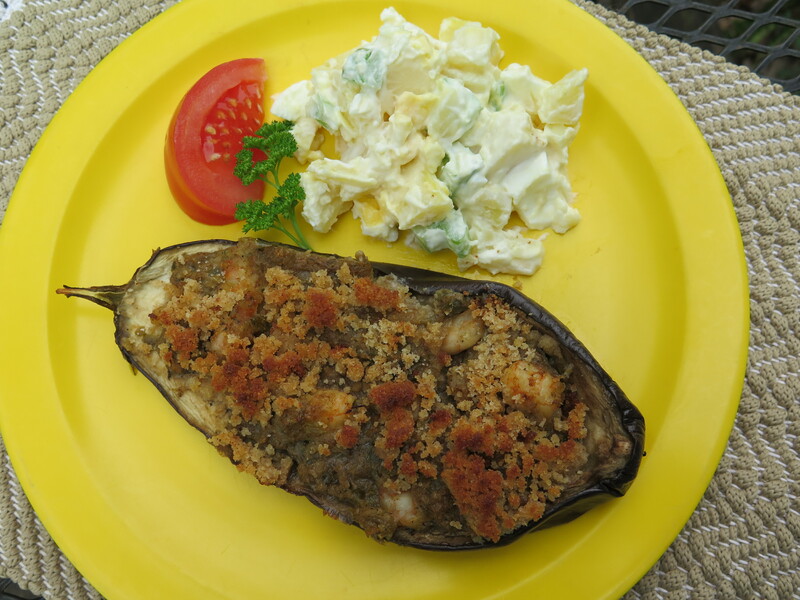 The stuffing is piled back into eggplant shells and baked. For eggplant lovers, this is a great dish. If you don’t have crawfish available, then substitute shrimp. This is one if my favorite seafood dishes which I’m naming, “Crawfish-Stuffed Eggplant Pirogues.” It can be served either as a main dish or side dish, just double the crawfish for a main dish.